Have you ever played "Kayak Football"? Me either, but before I talk about Kayak Football, I must tell you about teaching my daughter how to paddle. To get her to go, I told her that we will do "Paddle Yoga" and all the millennials are doing it. 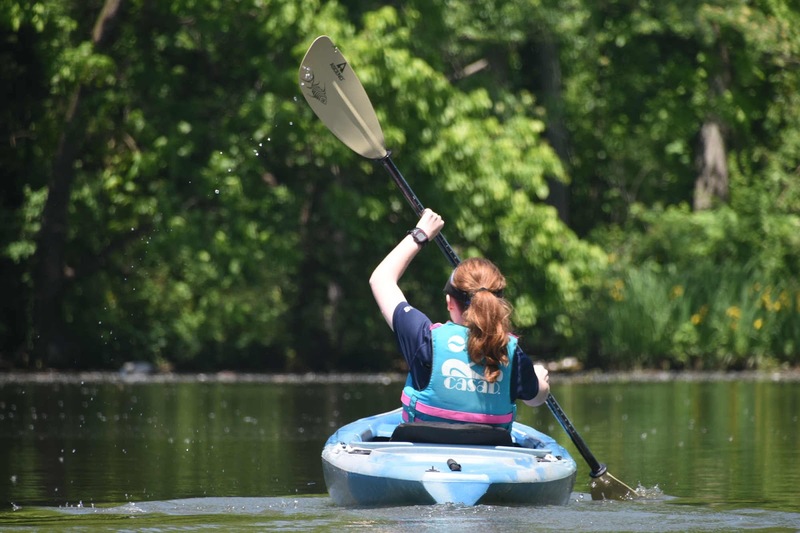 It's obvious that on the list of things to learn, paddling is pretty much at the bottom. 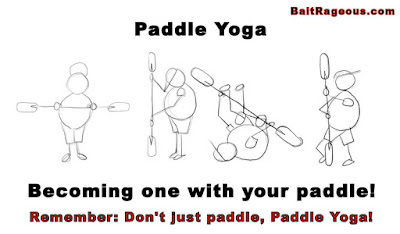 Let's face it, paddling is not an essential task to learn for life. 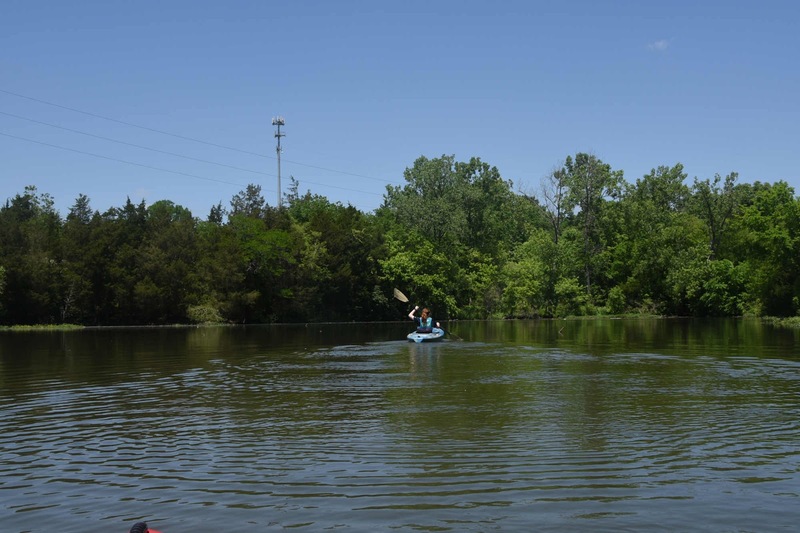 Today, most millennials would rather be indoors in front of a computer screen, rather than on the water with a paddle. In the old days, you grew up paddling if you lived near the water. 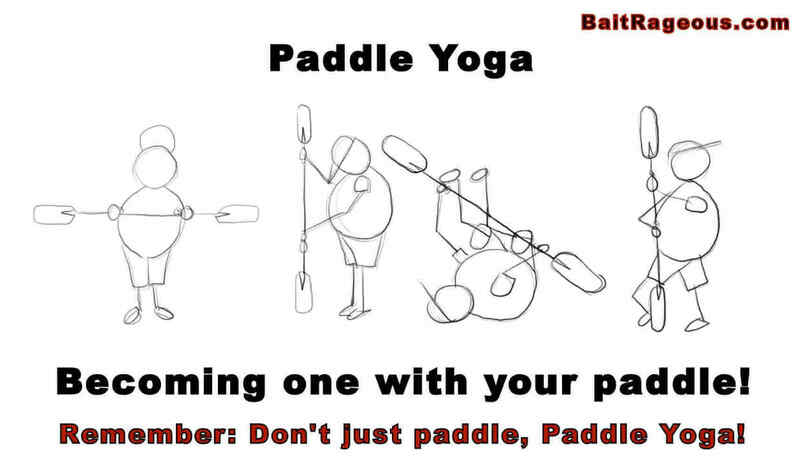 Do you remember learning to paddle? I don't, but I do remember when I was a child being in the boat while my dad paddled. I don't think that there was a very moment that I learned to paddle, I think that by watching, I just knew and started paddling. However, lets face it, paddling is not rocket science. It's kind of like a puppy that has never been in water, but when placed over water the puppy instinctively starts to "dog paddle". 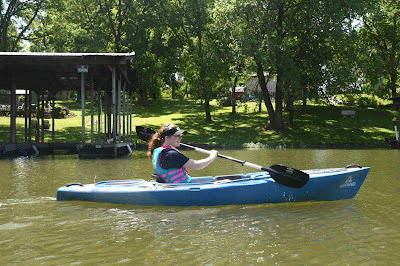 Our paddling adventure began on Old Hickory Lake. 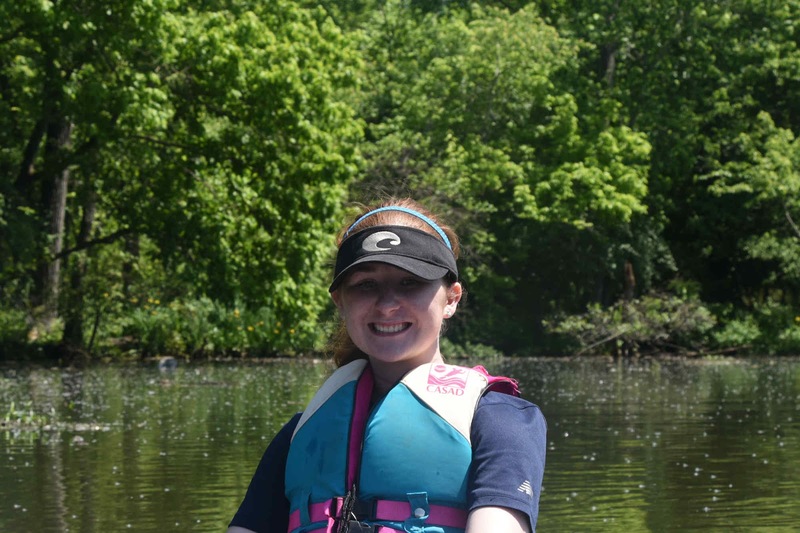 Sarah has been boating many times before, but never has she paddled a boat by herself. With very little direction, as you can see from the photo she took off like a rocket. The only problem, if you look closely you will see it, she has the paddle backwards. 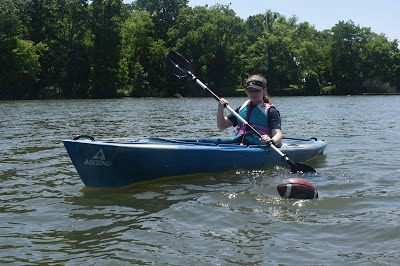 Now it's time for "KAYAK FOOTBALL" Check this out! The fastest way to learn to paddle is playing Kayak Football. Yes, the object is to.....No, I can't keep this fake game up, I'm kidding, there is no such thing as Kayak Football. I got you didn't I. This football just floated up from somewhere and I thought that it would make a great photo and nice fake story. It's amazing what you see on the water. Anyway, it looks like Sarah has the hang of padding in smooth water. In the future I will take her to a river for a little more excitement, paddle in some water rapids. Check-up my vintage style Lake, River and Bay Maps. We have many popular lake maps such as the Lake Winnipesaukee map, Great Sacandaga Lake map, Lewis Smith Lake map, Pickwick Lake map, Greer's Ferry Lake map, Lake Sidney Lanier map, Lake Sinclair map, Table Rock Lake map, and Lake Wallenpaupack map. These vintage style lake maps are great for the lake house. Also, we paint custom maps and have personalized Lake maps for that special someone. Go to www.Leolakes.com to see if we have your map.